My solo trip officially began in Langkawi. 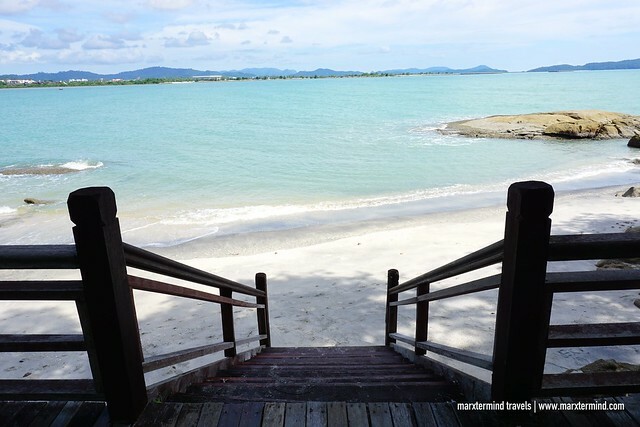 After my friend left Penang to go back to Manila, I went to Langkawi and spent 6 days. 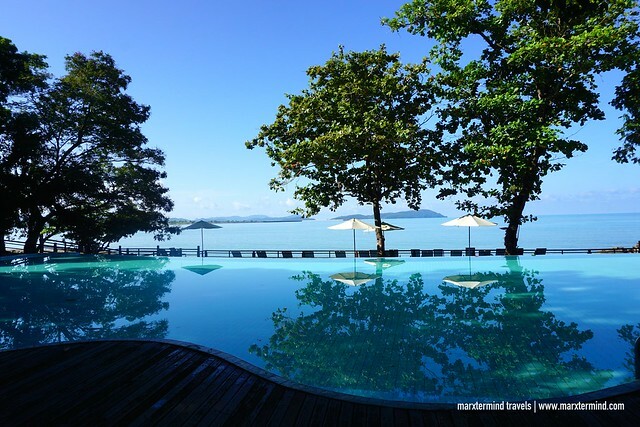 A great place to relax, I stayed at Century Langkawi Beach Resort on the first half of my trip. This place has nice surroundings and a secluded beach, which were perfect to start off my solo vacation in the island. Century Langkawi Beach Resort is a charming resort designed with contemporary Malaysian architecture. The resort is huge with several lodging houses and bungalows. It’s a seafront with wooden cottages that give a rustic feel. It also sits in a tropical landscape. This is a plus for people who also want to stay with this kind of setting, surrounded by nature. The resort is also located far from the city center providing guests a more peaceful and serene stay experience. It was already late afternoon when I arrived in Langkawi. I reached the island by taking the 3-hour ferry from Penang. From the port, I rode an Uber to get to the resort. Travel time was about 45 minutes. Tired from all these trips, I immediately went to the front desk when I arrived at the resort. Staff greeted me with a smile. I presented my passport to verify my reservation. Checking in was fast. The staff then handed me my key card. To get to my room, the staff informed me that I needed to ride the hotel shuttle. 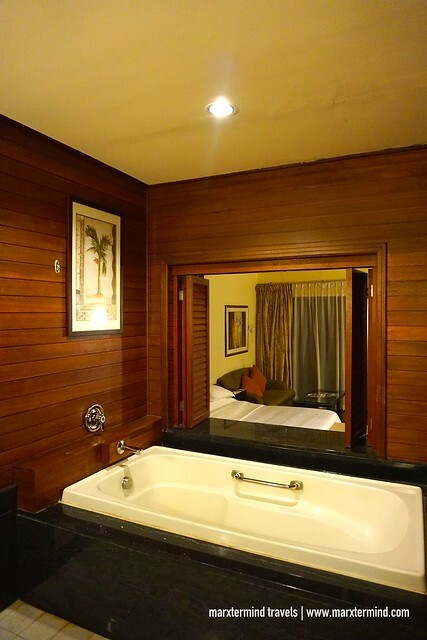 Century Langkawi Beach Resort offers five types of accommodation; namely, Superior, Garden View, Partial Sea View, Sea Front and Executive Suite. I stayed in a Superior Room. Check room rates and availability here. The room was amazing. It was spacious and comfortable. I also love the interior. It felt like I was staying inside a log cabin. 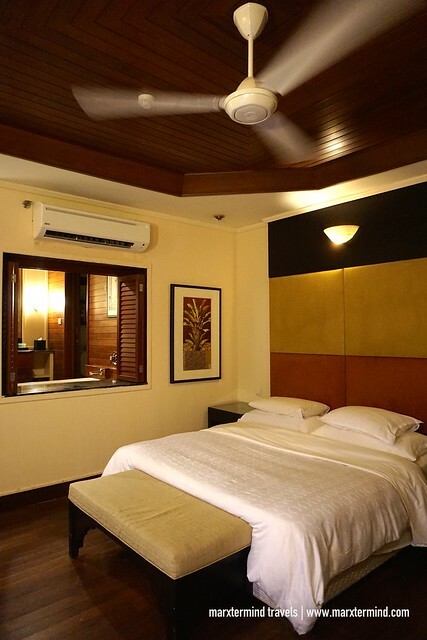 The room is also air-conditioned and comes with a king bed. 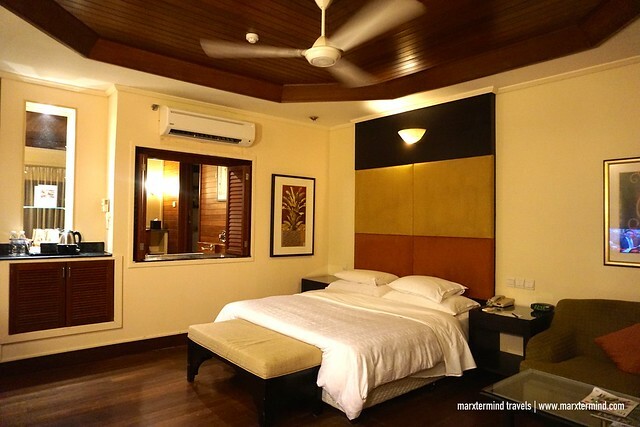 It is equipped with modern amenities. There’s cable TV, mini fridge, and a work desk. The room also has a seating area. Private toilet and bathroom was also huge. There’s separate area for toilet and shower. There’s a bathtub also. Bath essentials are provided as well such as towels and toiletries. Another thing to love about my room was the big balcony with a wonderful view of nature. A partial view of the sea was also can be viewed from my room. My room at Century Langkawi Beach Resort was completely nice. I had a wonderful stay for three days. I also love how comfortable my room was. 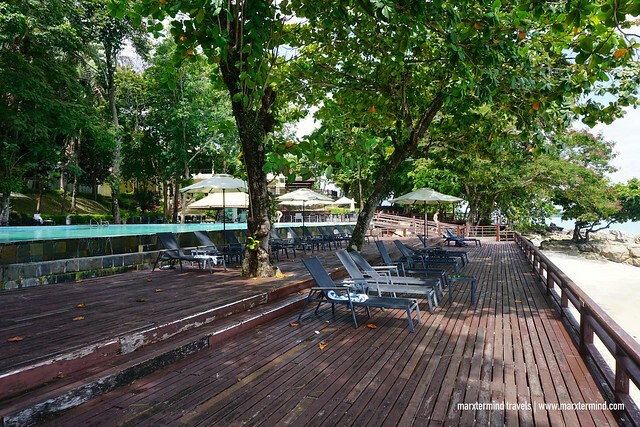 It has an excellent space and all essentials to have amazing solo vacation in Langkawi. 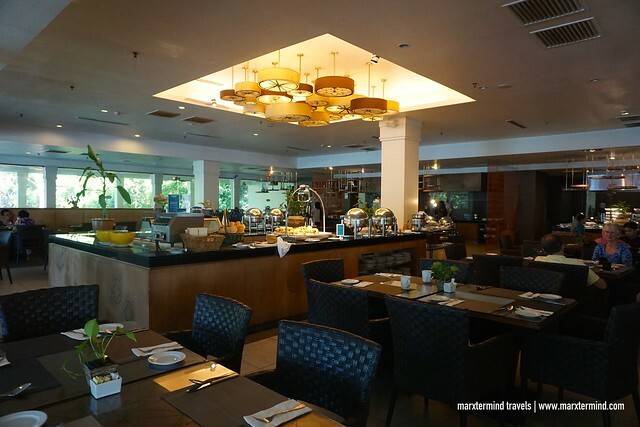 Century Langkawi Beach Resort has a range of facilities to also love about. The resort offers excellent amenities and recreation services to give guests a pleasant vacation experience. 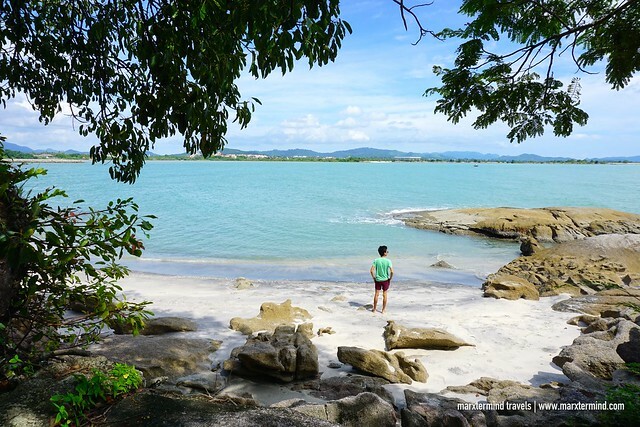 There’s a private beach and some nature coves that guests can explore. After having my lunch, I spent some time to walk around. I was able to see some magnificent sights and other facilities. The resort also has a fitness center, restaurant and a poolside bar. There’s also a small convenience store next to the lobby. Century Restaurant is where I had my buffet breakfast. It was quite good with ample choices and some local favorites. The restaurant also serves à la carte option for lunch and dinner. I enjoyed the restaurant’s version of Nasi Goreng. The resort also has an infinity pool where I was able to unwind when I was done exploring around. It’s a great spot to also relax after an all-day of activities. The pool has a majestic view of the sea – and also a nice place to watch the sunset. Staying at Century Langkawi Beach Resort was such a wonderful way to start my solo vacation in Langkawi. I had a comfortable experience during my three-day stay. 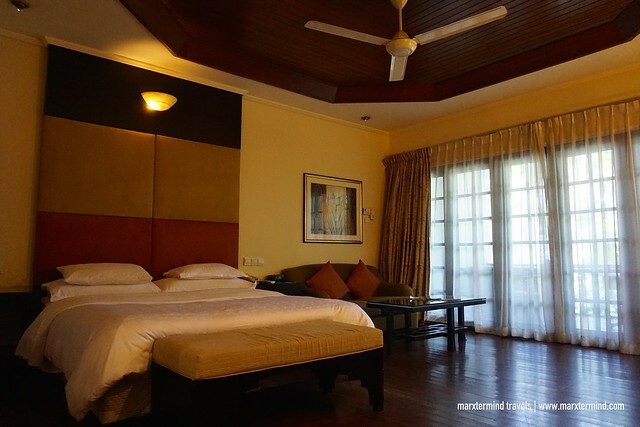 The large room, which has the essentials I needed made me enjoy my stay in Langkawi even more. I love the setting of the resort that looks like I was living in a village. This huge property let me had a nice vacation with its private beach, excellent facilities and tranquil environment. 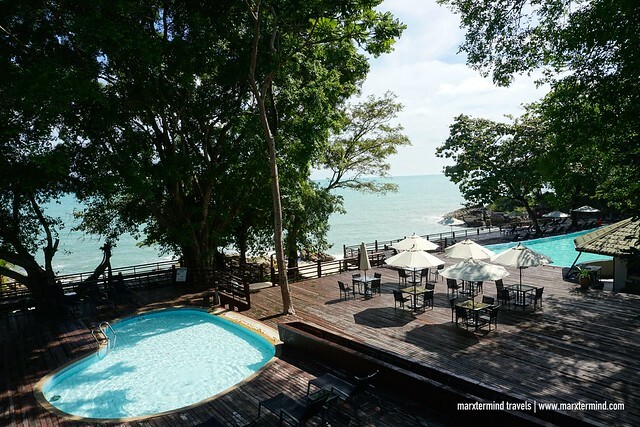 Century Langkawi Beach Resort is a rustic beachfront resort designed with contemporary Malaysian architecture. 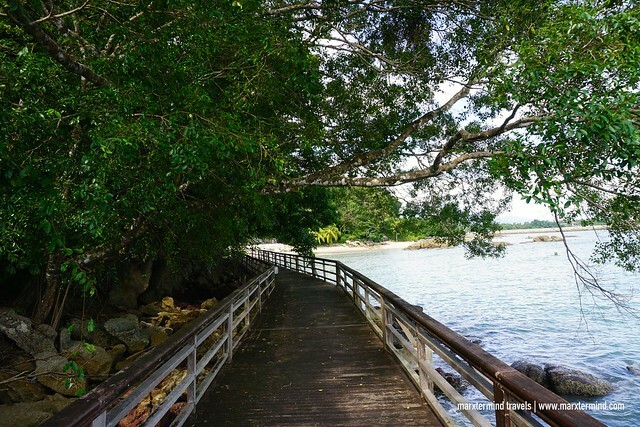 It is along idyllic stretch of private beaches. The resort features multi-storey lodging houses and bungalows.